In a parade of attention-grabbing queens, Pittsburgh's own Alaska made her grand entrance on RuPaul's Drag Race wearing a gown made from a plastic tablecloth and a horse-head mask. But thing looked bad in the first challenge — an photo shoot that took place in a dunk tank — with Alaska floundering, before sputtering off defeated under the baleful gaze of RuPaul. Alaska got her mojo back gyrating around the work room naked, shaking her pixelated junk, winning the admiration of one queen, who compared her favorably to a horse — you know, in that way. But the sniping about Alaska's relationship with last season's winner Sharon Needles never stopped — and everybody had a lot of fake concern about how bad Alaska's runway dress — made from blue Saran Wrap — was. 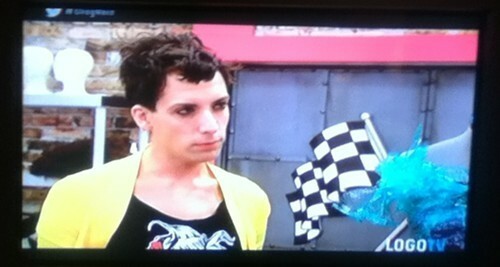 Haters gonna hate: The judges loved the dress, landing Alaska in the top three, and sliding smoothly into Episode 2.